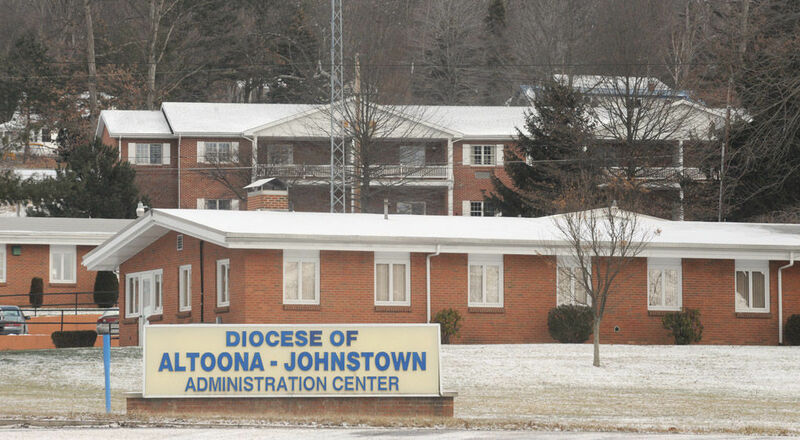 The Altoona-Johnstown Roman Catholic Diocese and Third Order Regular Franciscans face a new lawsuit related to Brother Stephen Baker – alleging the parties recklessly and negligently allowed him to sexually assault a boy at two schools in the diocese, beginning when the boy was 10 years old. On the heels of an $8 million settlement involving 88 former Bishop McCort students abused by Baker between 1992 and 2001, the latest lawsuit alleges Baker continued the pattern until at least the fall of 2003 with another boy, also a Bishop McCort student. Baker, who died in 2013, was an athletic trainer and religious studies teacher at the school. According to the lawsuit filed Wednesday in Cambria County, he began groping a youth identified as T.B. when the boy was a fifth-grade football player at St. Patrick’s school. The allegations mirror dozens of others settled in 2014, contending Baker fondled the boy, slid his hand into the boy’s pants and, on later occasions later, had the boy remove his pants so Baker could touch him. “In the summer of 2002, T.B. joined Bishop McCort’s football team, but when (he) saw Baker at training camp, he quit,” Harrisburg attorneys Benjamin Andreozzi and Nathaniel Foote wrote in the lawsuit. On one occasion afterward, the suit alleges, Baker assaulted the boy in a training room after the boy fell down stairs on campus. The document was filed Wednesday in Cambria County court. Baker took his own life in January 2013 after allegations against him went public in Pennsylvania. Two Franciscan friars who oversaw Baker – the Revs. Robert D’Aversa and Anthony Criscitelli – pleaded guilty to endangering the welfare of children earlier this year, following an investigation by the Attorney General’s Office. The lawsuit faults both for their inaction during Baker’s years at the schools, first as a teacher and trainer and then, after 2001, even though he no longer had an assigned role at McCort. But attorneys also wrote that the Diocese and Third Order Regular “had a duty of care” to protect the boy, and violated those duties through gross negligence and recklessness by ignoring, covering up or concealing allegations of sexual abuse, and create and enforce adequate safety plans related to Baker. Baker’s abuse caused “severe and ongoing psychological injury” to the young man, who is now an adult, the lawsuit adds. Diocese and Third Order Regular officials separately declined comment when asked about the lawsuit Thursday. Both parties settled a suit involving 88 former students last year. Diocese officials have contended they were not aware of Baker’s actions until 2011. Over the past year – in response to a report detailing allegations of abuse involving downs of priests – they have taken steps aimed at ensuring abusive acts aren’t repeated under their watch, increasing training and education and revamping the board they use to review allegations to add former law enforcement officials and a child abuse survivor to the group.